On our way down to Matt’s BBQ last weekend, we made a couple of skate stops along the way. 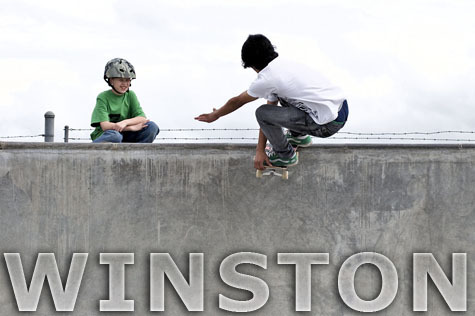 First up was the newly built Winston skatepark. The concrete work is top-notch a la Dreamland and the lip of the large bowl is slathered with Tedder Stone. Fun park for sure and well worth the stop when you are in the area. Check out some pics of the action in the gallery. damn! I missed the session. O well sf was pretty fun. I wish I could make my pictures looks as good as yours. Ive got some new ideas though.